Maria Johansson, for GPA -- The trade link between North America and Latin America has been long established. From the time of Columbus to the modern era, Latin America has always had a strong commodity market and in turn, access to the rest of the world. 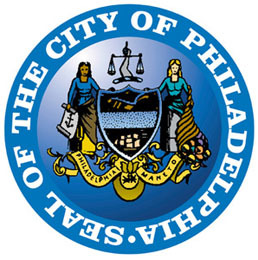 Philadelphia in particular receives a large number of goods, services and visitors from the region. In the current climate, which includes increased competition with South East Asia and a fall in the price of commodities, South America is looking towards the future. 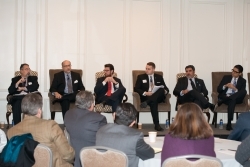 On January 21, the Chilean American Chamber of Commerce of Philadelphia (CACC) gathered trade, tax and finance experts in the historic Bellevue (200 S. Broad St.) from a number of different Latin American countries to give Philadelphia a taste of what to expect over the coming years. The overall view of Latin America’s past economic performance and one of its strongest contributors was agreed to be Free Trade Agreements (FTAs). Mauricio Banchieri, the newly appointed Chilean trade commissioner to New York, highlighted how Chile is currently involved in over 50 FTAs. This has resulted, he said, in a very open economy. Indeed, many of the FTAs have arguably turned out to be “mutually beneficial,” he said. Specifically regarding the trade relationship between the United States and Chile, Banchieri pointed to a $7 billion dollar surplus of trade from the U.S. to Chile. Moreover, in the last few years Chile has moved from the 35th largest ranked U.S. trade partner to the 19th largest. This market, Banchieri pointed out, is worth $25 billion and can trace much of its success to low or no tariffs. Mexico was represented by Enrique Perret Erhard, PROMEXICO’s Regional Director for North America. He concurred with Banchieri in highlighting the importance and success of FTAs. For Mexico, the biggest FTA is NAFTA (The North Atlantic Free Trade Agreement). Since the implementation of NAFTA in 1994, Mexico has experienced an increase from $80 billion to $500 billion in trade, said Erhard. In fact, Mexico imports almost as much from the United States as the entire European Union does. As many as six billion jobs in the U.S. depend on the country’s trade with Mexico. That figure is ten billion Mexican jobs. Maykool Lopez, the Trade Commissioner and Director of the Export Promotion Agency of Costa Rica (PROCOMER) in New York, also highlighted the progress in Latin America. Costa Rica, he said, is one of the most stable countries in the area. Moreover, Costa Rica experienced a currency appreciation in 2013, which made it a highly competitive country. At the moment, Maykool reported, 83 percent of foreign trade is covered by FTAs and the country currently holds FTAs with more than 30 countries. Three of the panelists offered insight into the United States’ relationship with Latin America. Gennadiy Goldberg, who is a U.S. Strategist at TD Securities, started off by answering a question posed by moderator Albert Costillo of GlobalBusinessFluency on the stability of the United States. Goldberg feels that the U.S. can certainly remain a stable force after this time of economic turmoil. “Things are in fact improving,” he said. Stephen J. Galati, a member of the Board of the CACC and a long time trade expert said that Latin American trade is “relatively sure trade,” meaning that it holds great promise for the future while also being well established. Similarly, Jose Leiman, a tax expert with particular focus on Latin America, pointed out that one of the biggest challenges for the United States in trading with its Southern neighbors is to ensure tax compliance. “Tax is something that is really very local,” he said. Leiman pointed to consistent improvement in that area, particularly due to the digital revolution and the increased exchange of information across borders. As for the future, Erhard summarized it well. “We need to take the next step,” he said. In fact, all Latin American representatives emphasized the importance of facilitating and promoting cross-border business, investments and exchanges, academic and otherwise. Moreover, the panelists highlighted a few important industries where they forecast great potential for growth. IT, agriculture, the automotive industry, aerospace, energy and medical devices among them. The key to many of these, they suggested, is to open up the markets and attract ventures from abroad. Finally, Gennadiy Goldberg stated that the competitiveness of Latin America will improve. Based on the current net trends, he said, Latin America is headed towards a great place. This, it was agreed, is likely to attract more Foreign Direct Investment and promote further cross-border trade, business and finance. 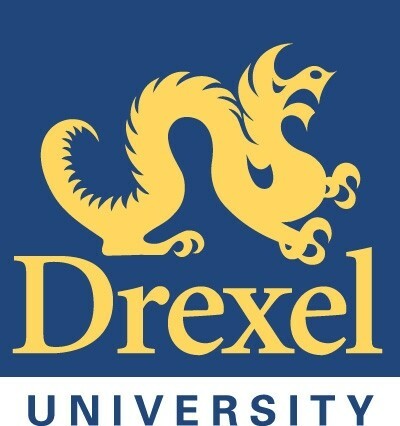 Image courtesy of the CACC.